Today, we supervised the delivery of family hygiene kits to the Government for distribution to the families affected by the recent floods in Belize. But instead of a photo of a person wearing one logo handing over a box to another person wearing another logo, I took a “what’s in my bag” kind of photo of the kit itself. Because what’s more interesting than the fact that access to soap can be life saving for small children? 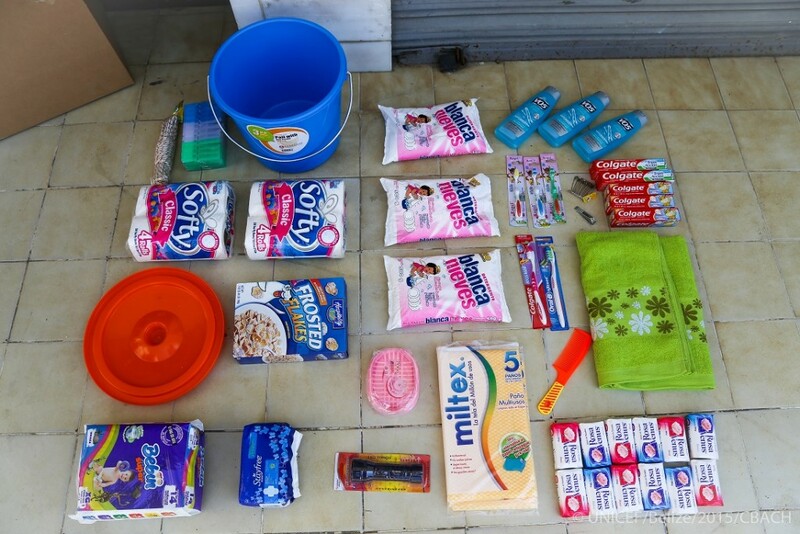 These are important basic hygiene items that some families have been deprived of. Love this! I volunteer at a homeless shelter serving dinners and cleaning on Christmas Day. I always try to remember tooth paste, soap and deodorant for residents.